#38. 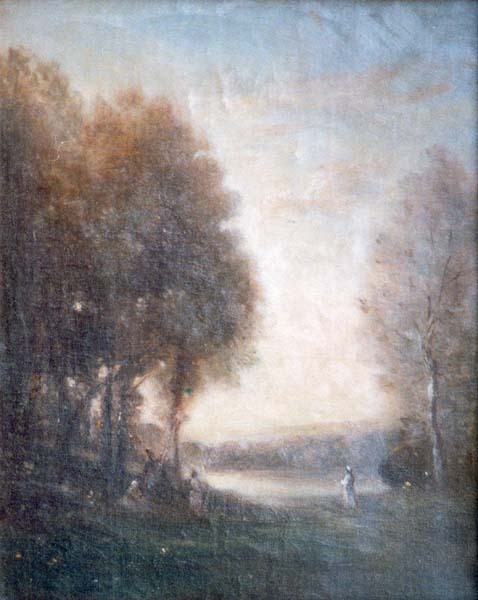 Landscape with Two Figures. 12.5 x 10, oil on canvas. "Gilbert Munger" lower left. The style suggests a French subject. The stretcher has a materials supplier stamp from F. DuPree. A Baltimore Museum of Art label with "L.28.8.7", indicates it was loaned to the museum in 1928. Paintings #25, #99, and #167 have similar stickers. From Munger's estate through the family of friend James Cresap Sprigg. 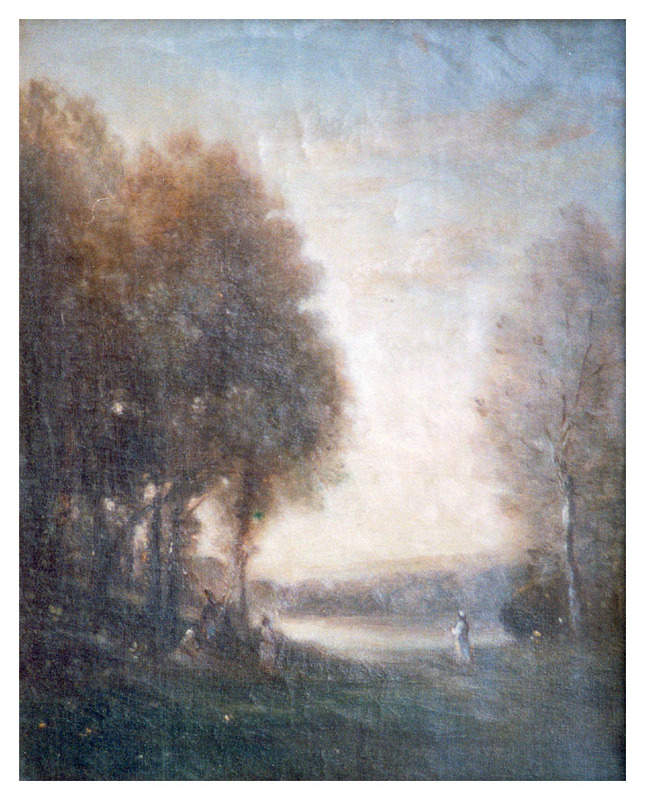 Sold by the family at O'Neills Auction Co., Forest Hill MD, estate sale on 29 May 1999 as "Homage to Corot" for $2,200 + 10%. IAP 73260797. Image from O'Neills Auction Co. photo.